Ah, Summertime! Time for refreshing summer beverages and relaxation in the shade. This Summer, discover the simple pleasure of Agua Fresca. 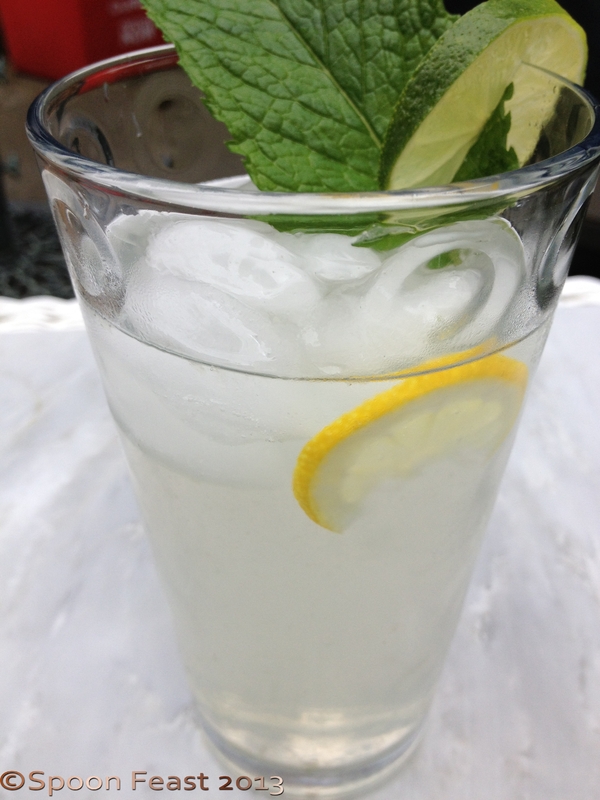 Simple to make, tremendously refreshing, and limitless varieties. Some varieties have pureed fruit such as cantaloupe, honeydew or watermelon, others feature berries and herbs while others call for cucumber or carrot slices. 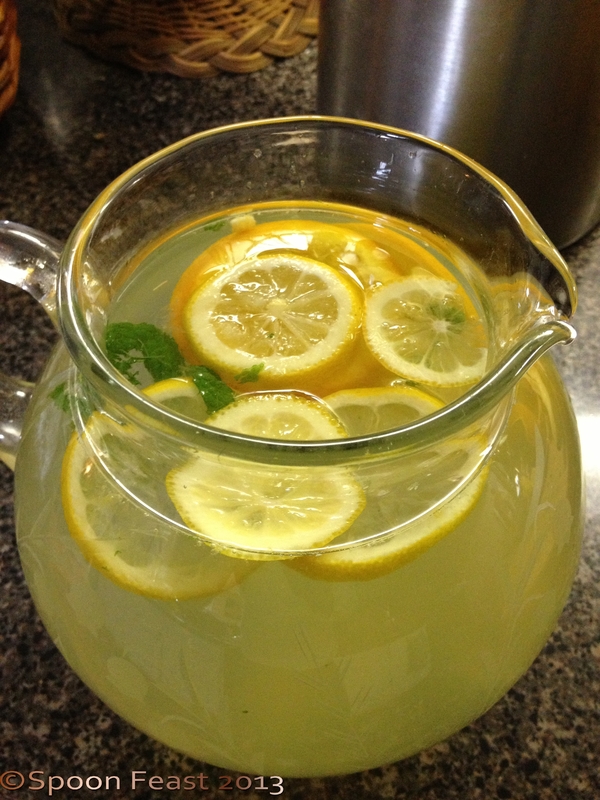 My favorite flavor is citrus so to make it, use 1 lemon, 1 lime, 1 orange and 1 grapefruit if there is one on hand. Additionally I add herbs such as mint, basil or sage on occasion too. This one is citrus with mint. Slice the fruit into thick slices, remove any seeds and place the slices into a large pitcher. Add the mint leaves and a small amount of sugar (or leave the sugar out entirely). 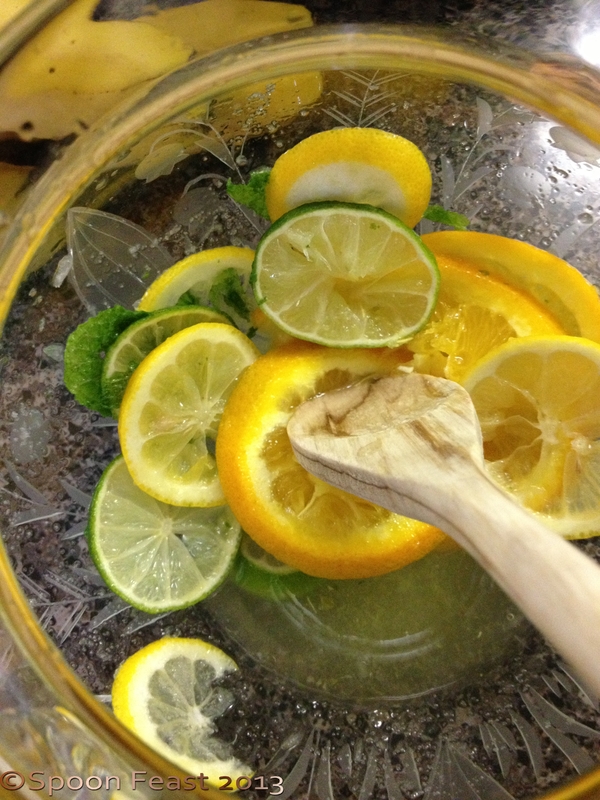 Use a wooden spoon or a muddler to gently crush the mint leaves and the fruit. All you want to do here is to start the release of juice and essential oils. Fill the pitcher with water, fill another glass with ice and pour. Garnish with mint leaves and a citrus slice. Prop your feet up and enjoy! If by any odd chance you have any remaining at the end of the day, remove the fruit to store the beverage overnight. If the fruit is left in, the drink will turn quite bitter from the pith of the fruit. Sometimes you can get a second pitcher out of the fruit too. 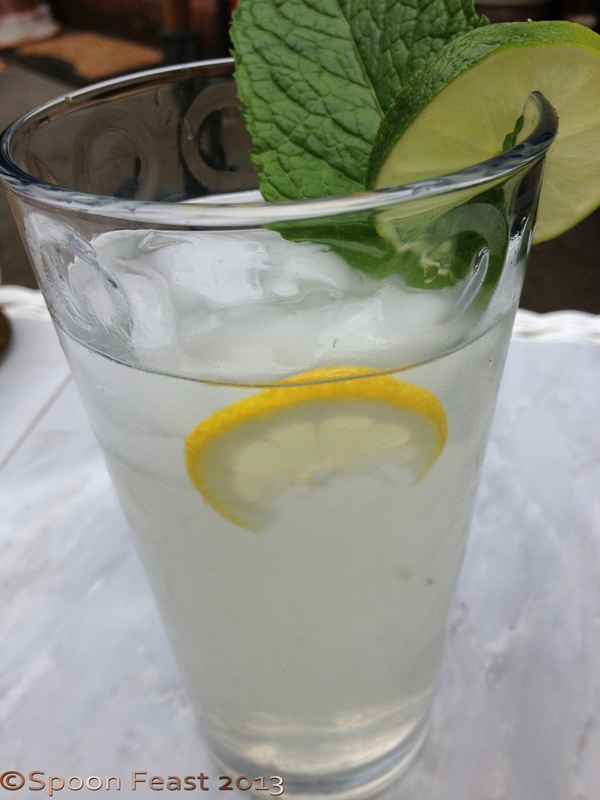 I do hope you enjoy this version of agua fresca. This entry was posted in Cooking, Recipes and tagged Agua Fresca, Citrus, Drink, Fresca, Fruit, Juice, lime, Recipe, summer beverages. Bookmark the permalink.